The 2016 research involved 311 people from 27 countries. 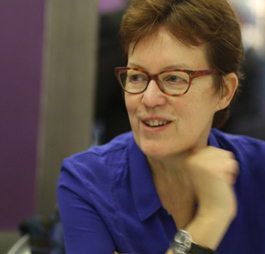 One of the first observations is that implementing fundamentally new business models is clearly on the back burner, as organizations are focusing on what needs to be improved today. Surprised? The survey looked at 9 potential goals for digital transformation initiatives and asked participants to indicate which ones were primary, secondary or not relevant. The last point reflects a short-sighted perspective. What do you think? 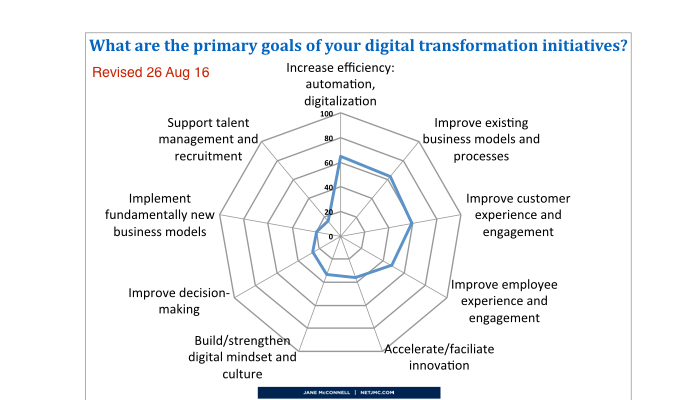 How important is digital maturity to job candidates? 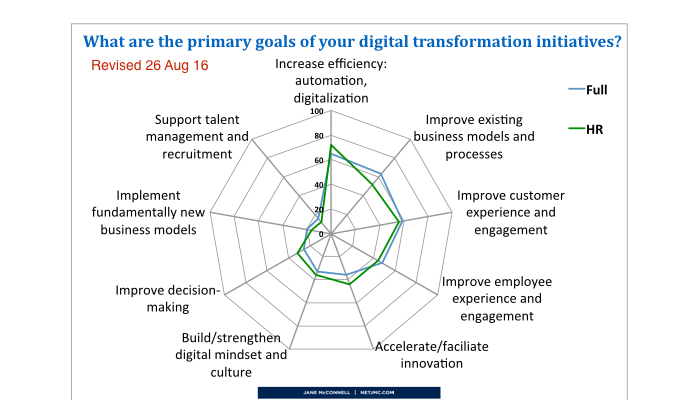 Even HR people rate “support talent management and recruitment” as the lowest goal of digital transformation.